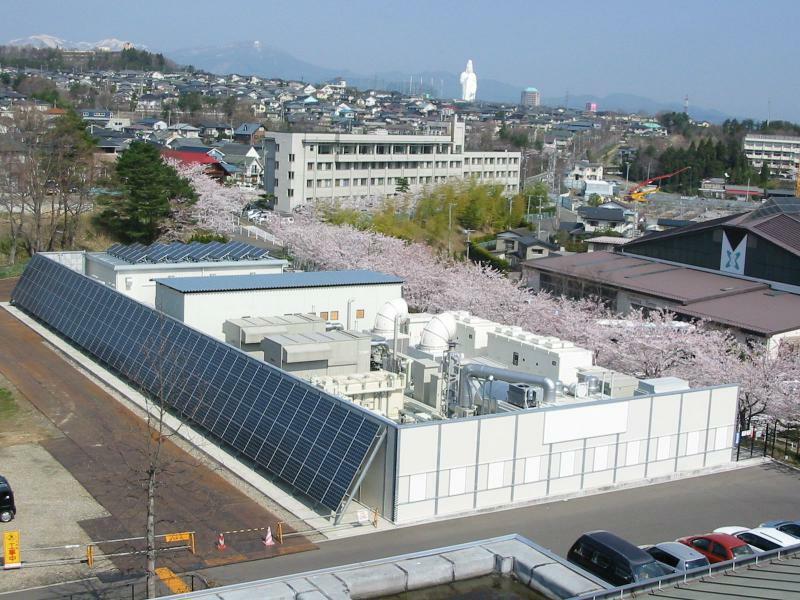 Perhaps the most well-known microgrid demonstration on this planet, The Sendai Microgrid Project was one of the four major New Energy and Industrial Technology Development Organization (NEDO) ones carried out in Japan between 2005 and 2008. After some upgrades, this project is still fully operational. While already highly successful, the project achieved microgrid superstardom because of its excellent performance during the 2011 earthquake and tsunami. Following a service loss of a few hours, its engine generators were started and the microgrid supplied the teaching hospital of Tohuku Fukushi University, on whose campus it is located, with both power and heat for the duration of the two-day blackout. The energy center contains two 350 kW natural gas fired gensets, 50 kW of PV, and modest battery storage. Another notable feature of this project are the six varying levels of power quality supplied on various circuits. One of them is a direct DC circuit that supplies the control room, in which all devices, including data racks, are DC to avoid disturbance propagation.